The ω-6 and ω-3 polyunsaturated fatty acids (PUFAs) such as arachidonic acid (AA), eicosapentaenoic acid (EPA), and docosahexaenoic acid (DHA) are the precursors of various bioactive lipid mediators including prostaglandins, thromboxanes, leukotrienes, hydroxyeicosatetraenoic acid, isoprostanes, lipoxins, and resolvins (Rvs). These lipid mediators play important roles in various physiological and pathological processes. 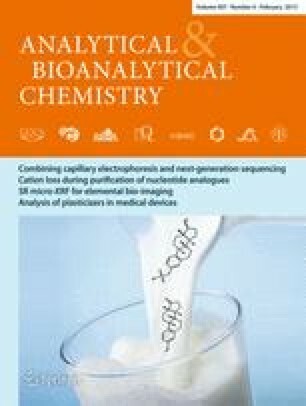 The quantitative determination of PUFA metabolites seems necessary for disease research and for developing biomarkers. However, there is a paucity of analytical methods for the quantification of ω-6 and ω-3 PUFA metabolites—the specialized pro-resolving mediators (SPMs) present in the human urine. We developed a method for the quantification of ω-6 and ω-3 PUFA metabolites present in human urine using ultra-performance liquid chromatography/tandem mass spectrometry (UPLC/MS/MS). The developed method shows good linearity, with a correlation coefficient >0.99 for all of the analytes. The validation results indicate that our method is adequately reliable, accurate, and precise. The method was successfully used to examine urine samples obtained from 43 healthy volunteers. We could identify 20 PUFA metabolites, and this is the first report of the quantitative determination of RvD1, 17(R)-RvD1, 11-dehydro thromboxane B3, RvE2, and 5(S)-HETE in human urine. The urinary 8-iso PGF2α and PGE2 levels were significantly higher in the men smokers than in the men nonsmokers (p < 0.05). In this study, we developed an accurate, precise, and novel analytical method for estimating the ω-6 and ω-3 PUFA metabolites, and this is the first report that the SPMs derived from EPA and DHA are present in human urine. The online version of this article (doi: 10.1007/s00216-014-8412-5) contains supplementary material, which is available to authorized users. An erratum to this article can be found at http://dx.doi.org/10.1007/s00216-015-8512-x. We thank volunteers for donating urine samples. This work was supported in part by the Japan Society for the Promotion of Science (JSPS) KAKENHI grant number 25460184 (HY), and by the Towa Foundation for Food Research (HY).